Robin + Snow = Christmas! Wishing you all a great festive season! 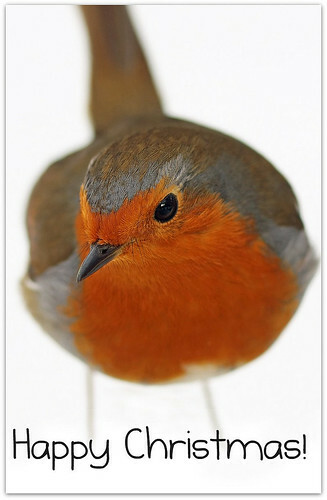 This robin has become very bold in the snowy weather and swoops down to me when I go out in the morning to feed the animals. He (or she; can’t tell them apart) has developed quite a taste for goat food!